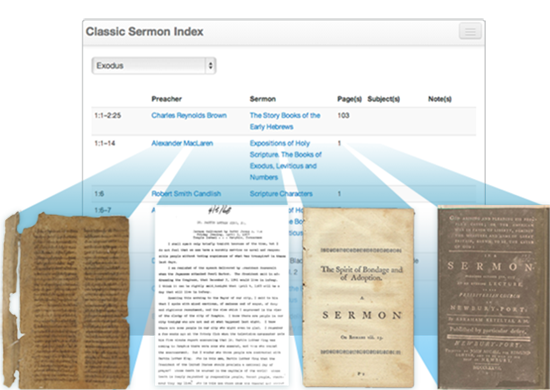 The Classic Sermon Index catalogs over 40,000 sermons. All are published in English. Each sermon is cataloged according to its principal text (e.g., John 3:16), author, book title, and page number within the book that contains it. 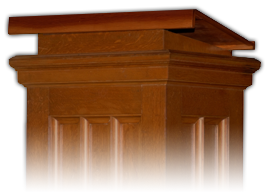 Many sermons are from historically significant public executions, funerals, and coronations. These include spoken sermons from the funerals of George Washington and King George III. Many topical sermons about dueling, slavery, the Boston Tea Party, and other period specific issues are also indexed. Nearly 75% of the sermons are hyperlinked to online copies. A click of the mouse immediately takes you to the book. Sermons indexed are by liberals and conservatives, ancient preachers and modern, Catholic, Orthodox, and Protestant, men and women. It allows the student/scholar/preacher to find quickly some of the greatest sermonic material in existence. The database includes a bibliography of the works indexed with full bibliographic information. Also included are brief biographical sketches of the various preachers, allowing for chronological searches (e.g., sermons on baptism preached before AD 500). The index is being added to almost daily. No other work makes accessible such a broad range of quality sermons. We index the work of the world's greatest preachers. The Classic Sermon Index includes Augustine, John Calvin, Richard Baxter, John Donne, Jonathan Edwards, Samuel Johnson, Martin Luther, John Henry Newman, John and Charles Wesley, Catherine Booth, Alexander Campbell, B. B. Warfield, Ralph Waldo Emerson, Karl Barth, Martin Luther King, Jr., etc. Sermons by the presidents of Oxford, Cambridge, Edinburgh, Dublin, Harvard, Yale, Princeton, Dartmouth, Brown, etc. are included. Here is a massive yet manageable amount of sermonic material. Read sermons that changed the world. Until now the reader has been left with no way of finding and accessing these great sermons. This work fills that gap, making the index a most valuable tool. 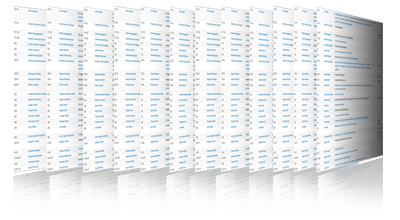 Because the vast majority of the material is hyperlinked, having this index is like having thousands of books neatly arranged and at one's fingertips. Ministers and Bible students/teachers can easily discover how the greats handled their sermon text. Since it indexes materials from a wide range of perspectives, it offers the reader an opportunity to find sermons that take differing viewpoints. It indexes all the sermons from Readex’s Early American Imprint series. Libraries will desire to have the database in their collections. Finally, biblical scholars will appreciate the ease it affords in laying hands on otherwise hard to find materials. Since many of the sermons indexed are by classic ministers (e.g., Aquinas or Chrysostom), the work will have a long-term usefulness. Because the index is Internet-based and because English is so prevalent worldwide, its value is global. Overseas missionaries can especially benefit from the tool. The database is offered online on a monthly or annual subscription basis. College and university libraries are charged in connection with each sponsoring school's enrollment. Start your no obligation trial today. IMPORTANT: This Subscription Agreement (this "Agreement") is a legal agreement between You (an individual person, who will be referred to in this Agreement as "You" or "Subscriber") and CSI Classic Sermon Index, LLC (referred to in this Agreement as "CSI") for use of the Index (as defined herein) that accompanies this Agreement, which may include associated printed and/or electronic documentation. READ THIS AGREEMENT CAREFULLY BEFORE USING THE INDEX. IT PROVIDES A LICENSE TO USE THE INDEX AND CONTAINS WARRANTY INFORMATION AND LIABILITY DISCLAIMERS. YOU WILL BE ASKED TO REVIEW AND EITHER ACCEPT OR NOT ACCEPT THE TERMS OF THIS AGREEMENT. IF YOU AGREE TO BE BOUND BY ALL TERMS OF THIS AGREEMENT, CLICK "CREATE ACCOUNT" AND PROCEED TO ACCESS THE INDEX. IF YOU DO NOT AGREE TO BE BOUND BY ALL THE TERMS OF THIS AGREEMENT, CSI IS UNWILLING TO GRANT YOU ANY RIGHTS TO USE THE INDEX, AND YOU MUST NOT ACCESS THE INDEX. License. Subject to the terms of this Agreement, CSI hereby grants to Subscriber a limited, revocable, non-exclusive, non-sublicensable, non-transferable right and license to use the Index for Subscriber's internal use. 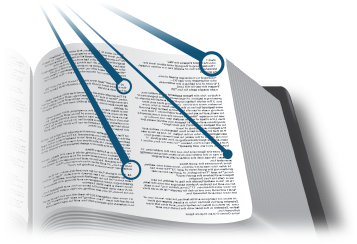 "Index" shall mean the CSI web-based index incorporating sermons, biographical information, historical data and other information, commonly referred to as the "Classic Sermon Index." User ID. Except with the prior written consent of CSI, access to the Index will be limited solely to Subscriber. Subscriber will be assigned a unique account name and password by CSI for access to and use of the Index ("User ID"). Subscriber shall not, under any circumstances, share, distribute, or otherwise make his/her User ID available to any person or entity. Subscriber may not use false identities or impersonate any other person, or use a User ID that Subscriber is not authorized to use. Subscriber shall be solely responsible for ensuring the security and confidentiality of his/her User ID. Subscriber acknowledges that he/she will be fully responsible for any and all liability incurred through use of his/her User ID and that any use of the Index under the User ID will be deemed to have been performed by Subscriber. CSI shall have no responsibility for the consequences of unauthorized access to the Index that arise from unauthorized disclosure of a User ID or password issued to or on behalf of Subscriber. Subscriber shall notify CSI immediately of any suspected theft, loss or fraudulent use of his/her User ID or password. Any fraudulent, abusive or otherwise illegal activity, or any violation of this Agreement is grounds for termination of this Agreement by CSI in its sole discretion. Disassemble or decompile the Index, except as expressly provided hereunder, or enable any service bureau use of the Index by any third party. Ownership. The Index is proprietary to CSI and/or its licensors. The Index is licensed pursuant to the terms of this Agreement and not sold. All rights, title and interest in and to the Index and all copyright, trade secret rights, patents, trademarks and any other intellectual property or proprietary rights in and to the Index shall at all times remain the exclusive property of CSI and/or its licensors. All rights not expressly granted under this Agreement are reserved by CSI. Certain Third-Party Terms. The Index may include content that may be supplied by companies that are not affiliated with CSI ("Third-Party Content"). Third-Party Content may be available through several locations in the Index, including without limitation, framed areas, through hyperlinks to third-party websites, or published or provided through the Index. The Third-Party Content may be protected by copyright or other intellectual property laws. Subscriber acknowledges that information, content, materials, products, and/or Third-Party Content made available through the Index are subject to change at any time and without notice. YOU ACKNOWLEDGE AND AGREE THAT THIS AGREEMENT ONLY GOVERNS YOUR RELATIONSHIP WITH CSI, AND UNLESS EXPRESSLY SET FORTH HEREIN, DOES NOT AFFECT YOUR LEGAL RELATIONSHIP WITH ANY SUCH THIRD-PARTY CONTENT PROVIDERS. YOU UNDERSTAND AND AGREE THAT CSI PROVIDES NO WARRANTIES OF ANY KIND WITH REGARD TO THIRD-PARTY CONTENT, AND THAT YOU BEAR ALL RISK ASSOCIATED WITH USE OF OR RELIANCE UPON THIRD-PARTY CONTENT. Documentation. Any documentation that accompanies the Index, whether in printed, electronic, or any other form, is subject to the license set forth in Section 1(a), and is subject to all of the terms of this Agreement. Availability. The Index is available to anyone with Internet access. However, the Index may not be continuously available due to maintenance or repairs or due to computer problems or crashes, disruption in Internet service or other unforeseen circumstances. The content of the Index is intended for use and display only where its use and display are permissible in accordance with applicable laws and regulations. Feedback. CSI may provide You with a mechanism to provide feedback, suggestions, and ideas about the Index ("Feedback") if You choose. You agree that CSI may, in its sole discretion, use the Feedback that You provide to CSI in any way, including in future modifications of the Index or in other CSI products or services. You hereby grant CSI a perpetual, worldwide, fully transferable, irrevocable, royalty-free license to use, modify, create derivative works from, distribute, and display any information that You provide to CSI in the Feedback. Monthly Subscription. If Subscriber has elected to subscribe to and use the Index on a monthly basis by selecting the monthly subscription option (a) this Agreement shall commence as of the date You accept and agree to be bound by all terms of this Agreement by clicking "I Agree" and shall remain in effect for thirty (30) days, and shall be automatically renewed thereafter for subsequent renewal terms of thirty (30) days each (each thirty (30) day initial or renewal term, a "Monthly Term") unless You cancel this Agreement prior to the end of the then current Monthly Term; and (b) Subscriber shall pay to CSI a non-refundable fee of $6.95 per Monthly Term; provided, that during the first Monthly Term under this Agreement, Subscriber shall receive a thirty (30) day trial at no charge. Annual Subscription. If Subscriber has elected to subscribe to and use the Index on an annual basis by selecting the annual subscription option (a) this Agreement shall commence as of the date You accept and agree to be bound by all terms of this Agreement by clicking "I Agree" and shall remain in effect for a period of one (1) year thereafter; and (b) Subscriber shall pay to CSI a non-refundable fee of $69.95. Subscriber shall receive instructions on renewal of the subscription in the expiration notice provided by CSI to the email address associated with Your User ID and account. Taxes. Unless Subscriber provides CSI with a valid tax exemption or direct pay certificate, Subscriber is responsible for all taxes, duties and customs fees relating to the Index, excluding taxes based on the net income of CSI. Termination. This Agreement and the license granted hereunder may be terminated by CSI without notice if Subscriber fails to comply with any terms of this Agreement. Survival. Notwithstanding any termination of this Agreement, the following provisions shall survive: Sections 1, 3, 4, 5, 6 and 7. Disclaimer. CSI IS PROVIDING THE INDEX TO YOU "AS IS." CSI AND CSI'S LICENSORS MAKE NO WARRANTIES, WHETHER EXPRESS, IMPLIED, OR STATUTORY REGARDING OR RELATING TO THE INDEX. CSI EXPRESSLY AND SPECIFICALLY DISCLAIMS ALL IMPLIED WARRANTIES OF MERCHANTABILITY, FITNESS FOR A PARTICULAR PURPOSE, RESULTS, AND NONINFRINGEMENT WITH RESPECT TO THE INDEX AND WITH RESPECT TO THE USE OF THE INDEX. CSI MAKES NO WARRANTY, AND EXPRESSLY DISCLAIMS ANY OBLIGATION, THAT: (I) THE INDEX OR ANY THIRD-PARTY CONTENT WILL MEET YOUR REQUIREMENTS OR WILL BE AVAILABLE ON AN UNINTERRUPTED, TIMELY, SECURE, OR ERROR-FREE BASIS; (II) THE CONTENT OF THE INDEX OR THE THIRD-PARTY CONTENT WILL BE UP-TO-DATE, COMPLETE, COMPREHENSIVE, OR ACCURATE; (III) THE RESULTS THAT MAY BE OBTAINED FROM THE USE OF THE INDEX OR THE THIRD-PARTY CONTENT WILL BE ACCURATE OR RELIABLE; (IV) THE QUALITY OF THE INDEX OR ANY THIRD-PARTY CONTENT, INFORMATION, OR OTHER MATERIAL OBTAINED BY YOU THROUGH THE INDEX WILL MEET YOUR EXPECTATIONS; OR (V) THAT DEFECTS, IF ANY, WILL BE CORRECTED. No Other Warranty. No employee, agent, representative or affiliate of CSI has authority to bind CSI to any oral representations or warranty concerning the Index. Any written representation or warranty not expressly contained in this Agreement will not be enforceable. ANY INDIRECT, SPECIAL, INCIDENTAL, PUNITIVE OR CONSEQUENTIAL DAMAGES ARISING FROM THE INDEX, AND/OR ANY THIRD PARTY CONTENT. SOME JURISDICTIONS DO NOT ALLOW THE EXCLUSION OR LIMITATION OF LIABILITY FOR INCIDENTAL OR CONSEQUENTIAL DAMAGES, SO THE ABOVE LIMITATION MAY NOT APPLY TO SUBSCRIBER. IF ANY EXCLUSION, DISCLAIMER OR OTHER PROVISION CONTAINED IN THIS AGREEMENT IS HELD TO BE INVALID FOR ANY REASON BY A COURT OF COMPETENT JURISDICTION AND CSI BECOMES LIABLE THEREBY FOR LOSS OR DAMAGE THAT COULD OTHERWISE BE LIMITED, SUCH LIABILITY WHETHER IN CONTRACT, TORT OR OTHERWISE, WILL NOT EXCEED THE AMOUNT ACTUALLY PAID FOR SUBSCRIBER'S USE OF THE INDEX. Indemnification. Subscriber shall defend (at CSI's election), indemnify and hold CSI and its officers, directors, employees, licensors, representatives and/or agents harmless at all times from and against any and all claims, demands, actions, proceedings, damages, losses, liabilities, costs, and/or expenses (including without limitation, reasonable attorneys' fees) in connection with or as a result of any claim that arises from any breach of this Agreement by Subscriber. CSI will provide Subscriber with prompt written notice of any such claim, demand, action or proceeding to which the foregoing indemnity relates, and CSI will have the right to participate in the defense thereof at CSI's expense. Severability. If a court of competent jurisdiction finds any provision of this Agreement invalid or unenforceable, that provision of the Agreement will be amended to achieve as nearly as possible the intent of the parties, and the remainder of this Agreement will remain in full force and effect. Governing Law; Venue. This Agreement shall be construed and interpreted in accordance with the domestic laws of the state of Tennessee, excluding any choice of law rules. Unless the parties agree in writing to mediate or arbitrate a dispute, all disputes arising out of this Agreement will be subject to the sole and exclusive jurisdiction of the state and federal courts with applicable jurisdiction located in Nashville, Tennessee, and each Party hereby consents to the personal jurisdiction thereof. EACH PARTY HEREBY WAIVES ANY RIGHT TO TRIAL BY JURY WITH RESPECT TO ANY DISPUTE, SUIT, ACTION OR PROCEEDING ARISING OUT OF OR RELATING TO THIS AGREEMENT OR OTHERWISE RELATING TO THE RELATIONSHIP OF THE PARTIES, WHETHER IN CONTRACT, TORT OR OTHERWISE. No Waiver. No modification, amendment or waiver of any provision of this Agreement shall be effective unless in writing and signed by the Party to be charged. The failure of CSI to enforce at any time the provisions of this Agreement shall in no way constitute a present or future waiver of such provisions, nor shall it in any way affect the right of CSI to enforce each and every such provision thereafter. Limitation of Claims. Any claim or cause of action arising out of Your use of the Index or this Agreement must be filed within one year after such claim or cause of action arose or it shall forever be barred, notwithstanding any statute of limitations or other law to the contrary. Within this period, any failure by CSI to enforce or exercise any provision of this Agreement or related right shall not constitute a waiver of that right or provision. Export Controls. The Index provided in connection with this Agreement is for use in the United States only, unless Subscriber and CSI have expressly agreed otherwise. Subscriber will not export, access, or send the Index or any software provided therein or any portion or aspect thereof to any other country or territory. Entire Agreement. With respect to the subject matter hereof, this Agreement contains the entire agreement between the parties, and this Agreement supersedes all prior written and oral and all contemporaneous oral agreements and understandings between CSI and Subscriber.